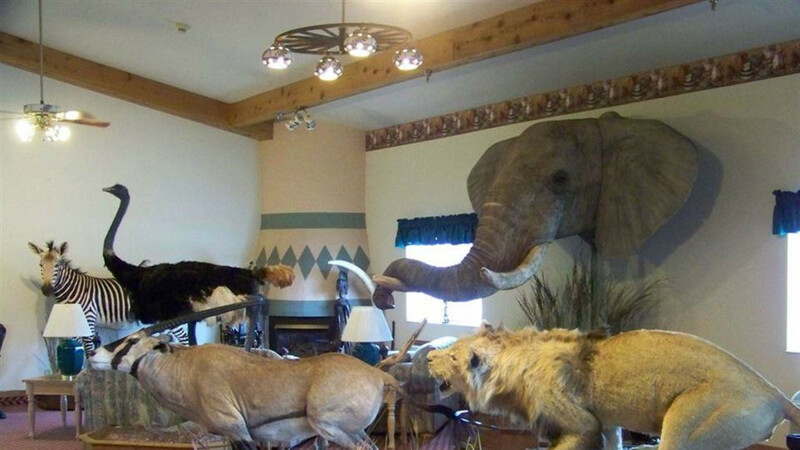 52 rooms, continental breakfast, indoor pool and hot tub, wireless Internet access. 52 miles from Yellowstone National Park. Close to Cody Nite Rodeo and Buffalo Bill Historical Museum. Hotel rooms are newly remodeled with new carpet and tile, pillow top mattresses and 32" flat screen televisions. 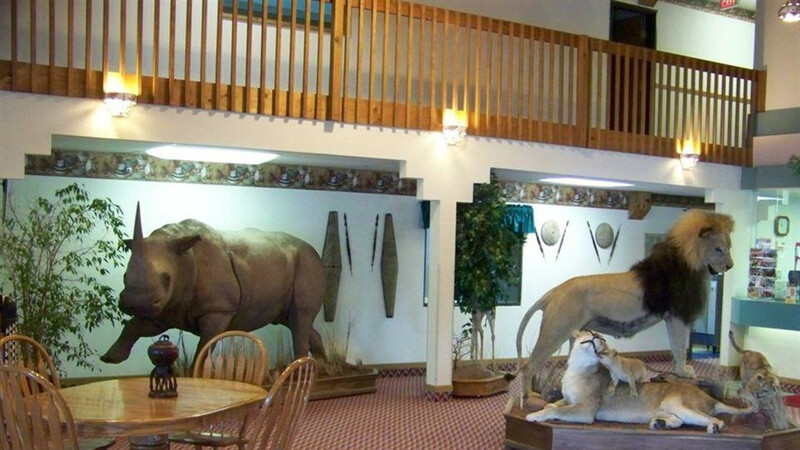 Our hotel is an African themed hotel, our lobby has several different African mounts including an elephant head and a full Rhino.